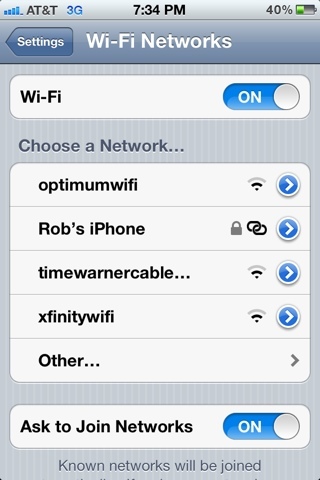 Rob's Musings: iPhone 4 circular reference wifi tethering bug in ios5? iPhone 4 circular reference wifi tethering bug in ios5? I think this screenshot captures the essence. That's my phone thinking it can tether with itself.